Travel Exploration Morocco today announced that it has received a Trip Advisor Certificate of Excellence award. The accolade, which honours hospitality excellence, is given only to establishments that consistently achieve outstanding traveller reviews on TripAdvisor, and is extended to qualifying businesses worldwide. Establishments awarded the Certificate of Excellence are located all over the world and represent the upper echelon of businesses listed on the website. When selecting Certificate of Excellence winners, TripAdvisor uses a proprietary algorithm to determine the honorees that takes into account reviews ratings. 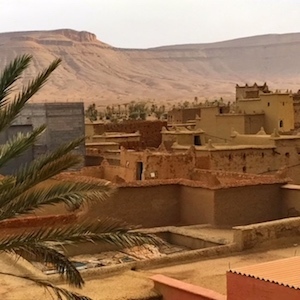 Travel Exploration Morocco and Businesses must maintain an overall TripAdvisor bubble rating of at least four out of five, volume and recency of reviews. Additional criteria include a business’ tenure and popularity ranking on the site. “Winning the TripAdvisor Certificate of Excellence is a true source of pride for the entire team at Travel Exploration Morocco and we’d like to thank all of our past guests who took the time to complete a review on TripAdvisor,” said, Alecia Cohen, Director of Travel Exploration Morocco and Expert on Berber Culture and all things Moroccan. “There is no greater seal of approval than being recognised by one’s customers. Travel Exploration Morocco is an in-country Morocco tour operator and maintains offices in Marrakech and Ouarzazate, Morocco. 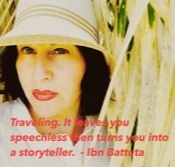 Travel Exploration specializes in private tours to Morocco’s Imperial Cities, the Great South and Sahara Desert regions and Jewish Heritage tours. Travel Exploration is a key member of (ASTA), the American Association of Travel Agents. Our staff has lived and worked in Morocco for over twelve years and ensure our Morocco travel clients a carefully planned, smooth vacation. 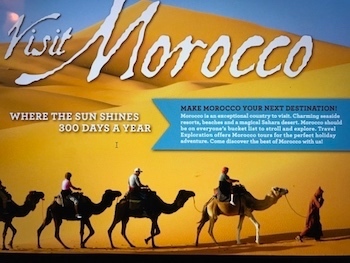 Travel Exploration Morocco designs each Morocco holiday step by step with our guests. Our detailed Morocco itineraries can be found on our website at www.travel-exploration.com and will offer a variety of Morocco tour possibilities for people of all ages.